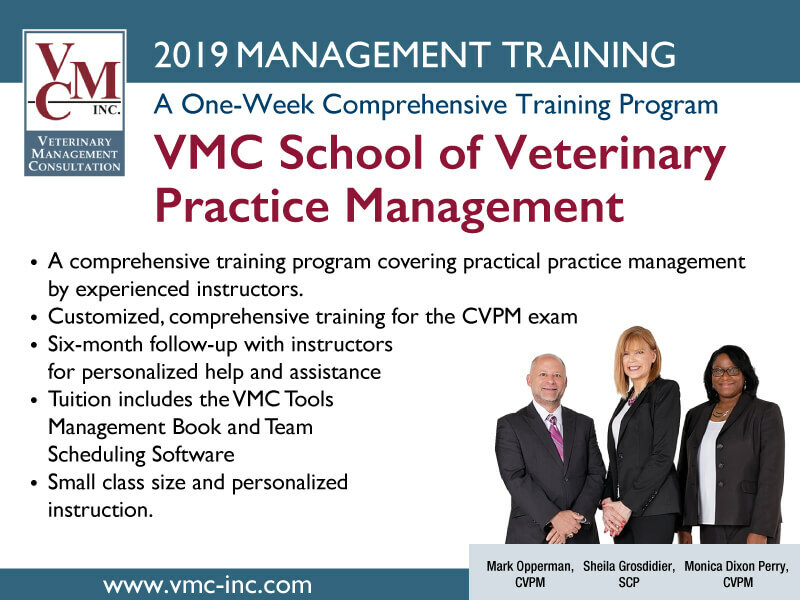 On-Site Consultation - Veterinary Management Consultation | VMC, Inc.
For over 30 years VMC, Inc. has been providing its premier on-site consulting service. It is a life and practice changing process. For over 30 years VMC, Inc. has been providing it's premier on-site consulting service. We have consulted with over 2,000 practices both nationally and internationally. Our consulting services start off with an initial phone call to discuss our offerings and determine the practice’s needs and how we might best be of service to you. On-site consultations consist of three components, they are: a preliminary financial review and analysis of your practice, the actual three days on-site visit by a consultant or consultants, followed by a one-year open line consultation service. When you choose our services you will receive an engagement letter, detailing the services we will be providing to you. We will then send you a list of information we will need prior to the consultation in order to obtain some background on your practice and better understand your concerns. As an example we will request financial information from the past two years, a list of perceived problems, one, three, and five year goals from the practice owners, your fee schedule, your employee manual and several other documents. Our financial analyst will prepare a detailed financial analysis comparing your practice to industry norms. A great deal of work is done prior to the consultation including team questionnaires, demographic studies and even mystery phone shopping to evaluate the practice and its customer service. The three days on site visit starts off with a breakfast meeting to get some more background on the practice and understand the owners perceived problems and goals. We then start the operational audit. This is an intensive review of your practice and its management activities. We will evaluate your practice from top to bottom, looking at everything you do and how you do it. This audit will include interviews with the doctors and team, evaluation of all business processes, i.e. inventory control, internal controls, accounting and bookkeeping, just to mention a few. At the conclusion the consultant will develop a customized business and implementation plan for your practice. The key to our and your success is the one-year open line consultation service that immediately follows the on-site visit. For an entire year we will work with you and your practice on the implementation of the business plan. This is accomplished by constant contact with the practice, we also request and receive monthly financial information and you will receive a management report that compares our projections to your practices actual results. We have also developed "mission possible" programs that will help you and your team with implementation. Bottom line by the end of the year we will have accomplished our business plan and more times than not exceeded it. It is a life and practice changing process that will help you to take your practice to the level of success you desire. It's What's Up Front That Counts! This one day action filled seminar takes a look at your practice from your clients point of view. Attend our powerful two-day training seminar to boost the financial health of your practice. Developing a top-quality team can be expensive, time-consuming, and frustrating. Here is your opportunity to make it cost-effective. We utilize specific systems, procedures, techniques, and technology that are successfully used in thousands of practices around the globe. 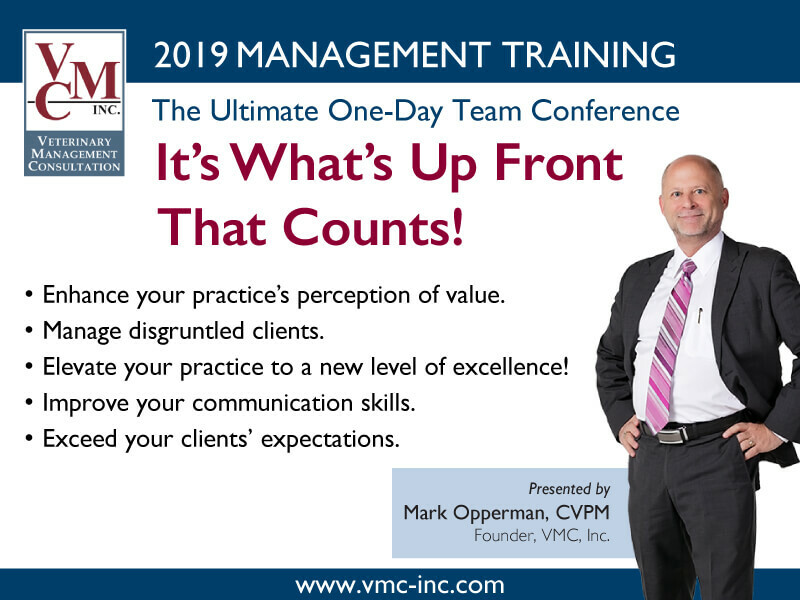 Ever wonder what Mark Opperman would do in his practice to make it the most successful practice ever? What are the top ten most critical things he feels needs to occur to make your practice an amazing success? Well wonder no more, Mark will not only detail his top ten most important steps to develop a successful practice, but detail how you can incorporate them in your practice as well. Your practice pulse points can help you achieve the financial goals you've set. Learn how to reach your own benchmarks over again, as well as those of the industry. Do you know how you stack up? Find out what numbers you should be looking at and what to do about them. Discover how doctor production comparisons can make help your doctors practice better medicine and improve your revenue streams. Knowing which monthly numbers to look at will help empower you to steer your practice down the course you wish. Learn what steps to take to effectively introduce a new product or service to your clinic. How do you determine if you should incorporate a new product or service, learn how to obtain staff buy-in, and inform your clients. You'll see how it can be done simply and successfully. With this equation, you'll see how to bond new clients, retain the clients you already have, and improve client transactions to ensure the continued success of your practice. Clients are a part of practice life: are you bonding yours or is your practice a revolving door? Do you know how to offer a full-service approach to the benefit of your clients, patients and bottom line? See how easy it can be. You've probably heard the phrase "picking the low hanging fruit." During this seminar, we're going to do just that. We are going to talk about some of the areas of your practice that routinely go unattended and which, with a little "farming," can prove to be very fruitful. Many ideas and concepts will be discussed that can help your practice greatly improve upon its efficiency and productivity. Today it is harder than ever to sell a practice. It is imperative that a practice owner consider his or her exit strategy from the day they first purchase their practice. This seminar will discuss the various means by which one can exit their practice. A truly timely subject that applies to all practice owners. A review of effective management techniques that can and should be incorporated to increase productivity, improve efficiency, and reduce staff turnover. A step-by-step approach to establishing effective inventory control. Presentation of a simple, but efficient, model inventory control system. The skills you and your staff need to know to be more professional, effective, productive and efficient within your practice. Learn how to enhance your practice's "perception of value," improve personal and professional communication skills, use proven techniques of internal and external marketing, maintain a positive work environment, dramatically increase your front office efficiency, perfect telephone skills, deal with troublesome clients, convert telephone shoppers into clients. Put into action the skills involved in brainstorming and goal planning. Learn to outline the plan as well as incorporate measurements and follow-up assessment. Types of goal plans and elements of effective goal planning are examined. Develop workable goal plans that you can put into action. A review of preventative measures that reduce your accounts receivable and allow you to become more effective in your collection efforts. Communication is an underrated art. How to effectively communicate in a verbal, non-verbal, and written manner are reviewed, as well as effective listening skills. We will discuss understanding the differences between marketing and advertising and how effective marketing techniques can be implemented to further create additional profit centers and a "full-service" approach within a veterinary practice. Effective marketing may very well be a key to future success. 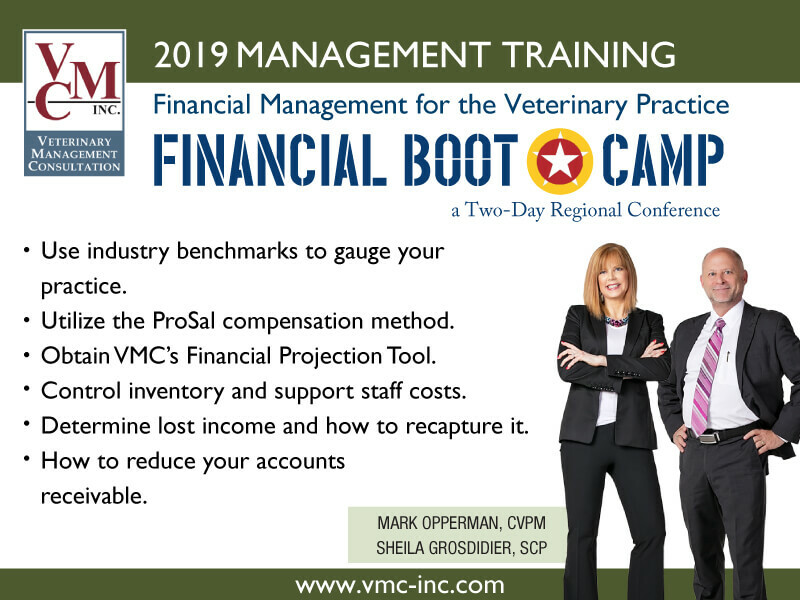 Implementation of effective management systems that will "plug the holes in your bucket," allowing your practice to achieve greater profitability without necessarily increasing your fee schedule. How to charge your clients appropriately and effectively. Presentation of a fee-setting formula. One of the most important aspects we deal with on a daily basis is our clients' "perception of value,” or the determination made by our clients regarding the quality and value of service rendered. This most enlightening seminar reviews all aspects of a practice's "perception of value" and further elaborates on how it can be enhanced. In order to maintain a quality professional and paraprofessional staff, we must thoroughly understand how to motivate individuals and become good delegators of responsibility. This seminar deals with effective management techniques that can be utilized to motivate and delegate effectively within one's practice. This is a seminar specifically designed for students and practitioners entering "the real world." A comprehensive seminar that is crucial to future success. Too many times we attempt to re-invent the wheel in our everyday practice management activities. This lecture presents "smarter ways" of managing your practice in order to enhance profitability and efficiency in your work environment. We’ll talk all about becoming totally fulfilled in your work environment and creating a philosophy for other staff members to help you achieve this goal. A "ten" practice is one in which both practitioner and staff provide a quality service, receive appropriate compensation, and are completely fulfilled. A practice philosophy well worth striving to obtain. The root of many management problems is not in the lack of knowing what to what to do, but instead, the interpersonal skills required for knowing how to do it. Assertiveness is standing up for your rights without infringing on others. This seminar teaches some of the more practical aspects of assertiveness training and how it might be applied within the veterinary environment. We cannot make time, but we can certainly lose it or waste it. A study of effective time management teaches us to use the time available and to work on activities with the highest priority in order to get the greatest return on investment of our time. Effective time management is essential if we are to achieve a quality of not only professional life, but also personal life. This lecture details the latest in practice management techniques. 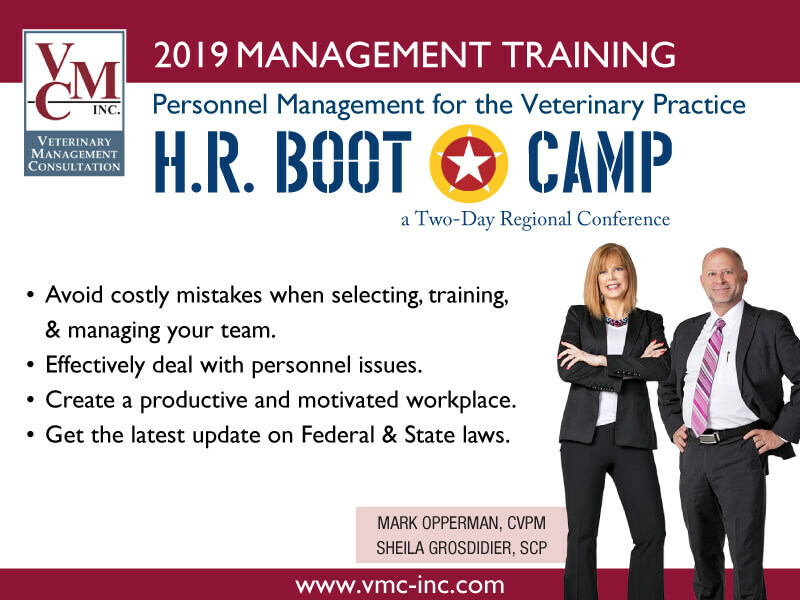 Topics covered include, "Developing Excellence In Your Practice Management," "Advanced Personnel Management Techniques," "Goal Planning," "Marketing In The Waiting Room and Exam Room," "Communication," and "Planning For You And Your Practice's Future." Truly an all-encompassing lecture dealing with innovative practice management concepts. A fast moving lecture covering new and innovative practice management techniques learned from a variety of progressive veterinary practices. This seminar includes practice tips for both in-patient and out-patient clinics, enhancing a practice's perception of value, profit center development, in-hospital and marketing practice tips, as well as tips on personnel management. This lecture equates a successful practice with the anatomy of a healthful individual, starting at the brain. The analogy is made that the brain is the nucleus of all activity and without which the rest of the body would not function. In one's practice, the "brain" is the owner/doctor(s) without whose vision and direction the practice would falter and fail. The seminar goes on to equate other parts of one's body to a successful practice and culminates with the realization that not only does the body have to be healthy, but also must be in balance. A truly unique and insightful lecture. Managing people doesn’t have to be harder than herding cats – Here is the best advice for managers, owners, supervisors and team members alike. Explore what the future of Human Resources has in store for you and how to leverage your team to achieve business success. If you are finding that qualified candidates and committed team members are becoming harder to find, you are not alone, there is a war for talent. And, it’s time for your practice to implement a plan to win the battle. Review and see how to implement effective and consistent steps to identify, assess and hire the right team members. Here's what's going on in wages, compensation and benefits. Review some options that you might consider to attract, hire and retain your best team members. Get a look at what the future holds for compensation options. What does it take to take new employees on a rapid 90-day journey to becoming the positive and productive team member so essential to the success of your practice? Learn what to do to avoid the mistakes that cause them to disengage and become one of the zombie employees – just collecting a paycheck. Yes, it is possible to have team members that are committed to assisting the practice toward success, learn how to use the CREATE plan to engage your team, and structure a positive productive workplace. Take a revealing look at what owners, managers and team members can do every day to make your practice a great place to work. How to implement a plan that truly makes a difference every day for the entire team. Exam room videotaping can be an excellent training tool for reviewing staff and client interactions and subsequent coaching for future performance. It is not about looking for mistakes; it’s about looking for ways to improve! We will look at some real-life video examples and discuss what could be done to improve upon the exam room experience. Managing Payroll Expenses Setting Starting Salaries as well as Raises Conducting Performance Reviews Dealing with Difficult Employees. Hiring the best fit has its challenges but keeping your team members motivated and excited about their day-to-day responsibilities is one of the biggest obstacles managers and owners face in our industry. Discover new ways to approach performance evaluations with the same amount of focus and intensity as you do with recruiting, hiring and training. Top Things Every Manager Should Know: Principles of Veterinary Medical Ethics of the AVMA. We’ve developed a step-by-step approach to establishing effective inventory control. You will be presented with a simple, but efficient, model inventory control system! Here's what's going on in wages, compensation and benefits. Review some options that you might consider attracting, hiring and retaining your best team members. Get a look at what the future holds for compensation options. Communication - What will be your Practice’s Legacy? Workplace Bullying Policy Tips for Creating Respectful Interactions in the Workplace Tips to Transform your Workplace Culture from Toxic to Terrific. How to Be a Dynamic Practice Manager Identifying Primary Roles Hierarchy of Management – Creating an Organizational Chart Conducting Team Meetings Team Scheduling Tips. Too many times we attempt to re-invent the wheel in our everyday practice management activities. This lecture presents "smarter ways" of managing your practice to enhance profitability and efficiency in your work environment. Ever wonder what you could do in your practice to make it the most successful practice ever? What are the top ten most critical things that need to occur to make your practice an amazing success? Well wonder no more! You’ll learn about the top ten most important steps to develop a successful practice and how to incorporate them in your practice. How to Manage by Benchmarks & Key Indicator Tracking Monitoring Fees and Mark-Ups Tips to Minimize Missed Charges. "When a pet is sick or not “thriving”, as a professional we recommend bringing them to us – the expert, the veterinarian. When your practice is not doing as well as it should be, the same concept should come into play – ask an expert. VMC has been a great help to us in improving our practice’s performance. 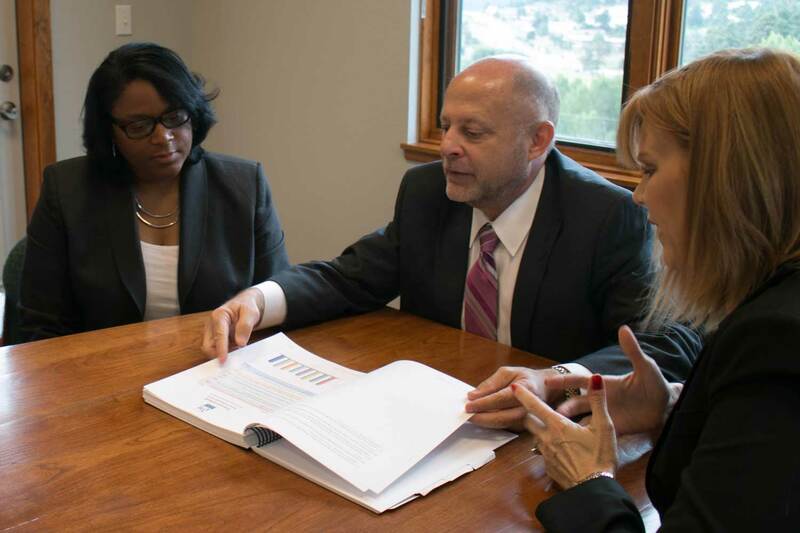 Mark Opperman’s team worked with our team and helped us establish meaningful, achievable goals, including review of our inventory procedures and COGS, review of pricing structure, in-depth assessment of profit & loss, statistics by doctor, and profitability by revenue center. Additionally, Mark worked with us in setting HR protocols and developing our practice manager’s role. In the six months that we’ve been working with VMC, our profitability has improved significantly. I would highly recommend VMC for practice management consultation." "Not only is Mark extremely personable, he made me feel very comfortable asking questions about ProSal. I also truly appreciated his time consulting with me in regards to the practice! His input was invaluable! I'm grateful for his professionalism and expertise. It's a great feeling knowing that a person of this caliber is available for one on one support." Subscribe to our monthly newsletter for fresh ideas and the latest expertise in veterinary practice management. Please use a valid email address and try again.